Be Mindful Now cic is a community interest company, trading as Mindfulness cic. It was set up in 2013 to help people reduce the level of mild dissatisfaction with their lives along with mental and emotional dis-ease. We share many mindful tools and techniques and encourage and support individuals to commit to practice to experience the benefits for themselves in their everyday life. We are based in Leicestershire and Coventry University, our mindfulness and compassion meditation courses, our stress management events and applied work based courses are run in London, Birmingham all over UK and now in Europe and Australia. Suryacitta and Dr Liz Sparkes have established an MSc in mindfulness and compassion at the University of Coventry. They will be teaching there from September 2016. 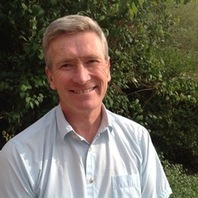 Suryacitta Malcolm Smith, is one of the most experienced mindfulness teachers in the UK, starting his practice in 1989. 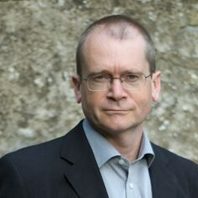 He is the author of three books, ‘finding contentment through mindfulness’ published in 2011 and Mindfulness and Compassion – Embracing life with Loving Kindness, 2015. Both published by Ivy Press, and A Mindful life, Who’s this in the shower with me, how to get out of your head and start living. He has taught mindfulness and compassion meditation to 1000s of people in the UK and abroad. From 2001 to 2005 he lived in a meditation retreat centre, dedicated to intensive practice and teaching. He is known as the teacher’s teacher having taught many of the teachers in Leicestershire, the UK and Europe. He is renowned for his absolute down-to-earth approach, and for his simplicity, clarity and humour in teaching, being free of mindfulness jargon and cliches. He has co-designed the MSc in Mindfulness and Compassion at Coventry University where he also lectures. He is an expert practitioner and spends his time teaching others what he has learnt. As well as Coventry University Suryacitta teaches and speaks around the world. If you would like to invite him to teach or speak just drop us a line. Suryacitta also teaches mindfulness to sports people to enhance performance. 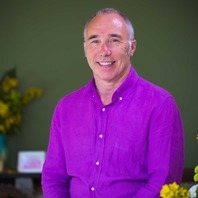 He is registered with the UK network of mindfulness teachers and follows the UK network good practice guidelines.If you are interested in more information about supervision or a one to one with Suryacitta then visit www.suryacitta.com. Gaynor Quilter, co-founder of Mindfulness cic has worked in charities for over 30 years, principally with young people. She was CEO of Alone in London and Apex Works. She was Director at Young Minds, Parentline Plus and Macintyre Care. For over 10 years in the early part of her career Gaynor developed her experience and insights by working directly with young homeless people at Centrepoint and Youth Aid, as well as with ex-offenders at Intake Hostel. She spent two years in development education charities, including theatre for development projects in Northern Nigeria. Gaynor has held volunteer governance roles in a number of organisations. She is currently a founder and Chair of Reaching People Consortia, a membership organisation of 33 voluntary organisations providing services to vulnerable people. She teaches mindfulness practices to a wider range of people; is a mindfulness coach for senior and emerging leaders and advises on mindful change management projects mainly within the Charitable sector. Gaynor’s interests lie in the alignment between values, culture and behaviours. Gaynor has been practising mindfulness for over 14 years. She came to the practice after the death of her Mum, she found that mindfulness allowed her to stay in her body rather than living in her planning and doing mind. She found it the most helpful way of working with her pain and loss. Her daily practice helps support her to stay balanced and purposeful. 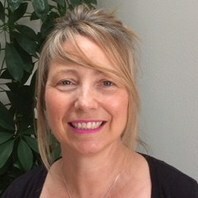 Gaynor has a degree in Peace Studies, is a qualified mediator and coach. She attended mindfulness teacher training at Bangor University. Liz, another of our principal teachers is a registered Health Psychologist. She is currently course director for the MSc Health Psychology at Coventry University. In 2013 Liz was awarded her PhD in pain psychology. The thesis investigated factors that impact upon pain treatment success. 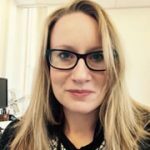 Liz has a number of publications on pain and women’s health, and is now focusing her research interests particularly in mindfulness and maternal health/pain. Liz completed her teacher training in mindfulness with Suryacitta and hasn’t looked back. She is passionate about teaching mindfulness to both students in an academic context alongside running groups for those wanting to develop their knowledge and practice of mindfulness. As well as lecturing at Coventry University Liz also trains individuals to teach mindfulness and feels that it is important to provide ongoing support to those choosing to teach. Please click here to see Liz’s academic profile. Dean has over 35 years’ worth of business experience, working with a range of organisations from global companies, to small businesses, to universities. He has worked in business strategy, leadership and management, business operations, change management, education, learning and development, project management and delivery, new product development, marketing, and supplier management. As an organisational development practitioner, he now focuses on, higher education, learning and development, project management and business change, leadership development, business consultancy, and personal and organisational performance. This has involved working with organisations in the UK, Europe, the USA, Hong Kong and China. He first came across Zen in the 1980’s and started exploring mindfulness in 2010. Increasing study and practice led Dean to start the MSc in Mindfulness and Compassion at Coventry University in 2016. Suryacitta started to teach me about meditation in 2009. It would have been wonderful to have started years ago! I have found that mindfulness can produce remarkable benefits and I really enjoy working with groups on courses. I have now retired from my job as a Surgeon and now spending time teaching mindfulness and compassion meditation in a variety of settings. 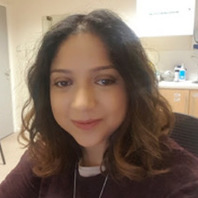 Zahida is a GP in Leicester with a special interest in Palliative Care. She started meditating five years ago when she learnt about how to use mindfulness to help patients with terminal illness and found that she benefited from it too. She is now passionate about reducing burnout among NHS staff using Mindfulness and Coaching. She is a trained Mindful Compassion Facilitator and teacher with Macmillan Cancer Support and Mindfulness CIC. She leads eight-week mindfulness courses and workshops for NHS patients, university staff and local GPs and trainees. She has helped to develop and embed mindfulness into the medical curriculum at the University of Leicester, the first medical school to do so in the UK. Marnie has worked with children young people adults and families. Being a teacher in a primary school was a solid foundation for her educational work and she has worked in educational psychology since 2003. Marnie gained her Phd from Tavistock clinic, London in 2012. Marnie works as a psychologist in private practice. She is the director of Imagine Inclusion who promotes emotional well-being, inclusion and creativity for all. Throughout Marnie’s life spiritually has helped her swim and survive in the ‘River of Life’. 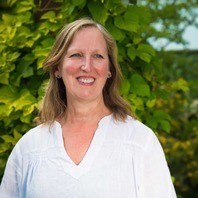 Marnie has attended various Retreats and Courses with Suryacitta and Gaynor and has a daily mindfulness practice. Marnie and Gaynor have been facilitating and sharing resources with young people through the use of Mindfulness and the arts to actively support their mental health and build life skills that will sustain them in their futures. The MSc in Mindfulness and compassion is developed to suit the needs of everyone. Whether you work or live at a distance. The MSc is composed of a number of short intensive Friday to Monday residential's over the two years. Other modules are experienced online via video lectures and online learning. There is support available from personal tutors and group meetings for those able to meet, alongside an online support group. The MSc explores a deep understanding of mindfulness and meditation technique, Buddhist philosophy, how to teach and the development of self-needed to teach to a good standard. There are also modules covering yoga and body work, understanding the wisdom of the body for release and sense of ease. Students explore areas and arenas to take mindfulness forward and the different ways mindfulness can be taught. Compassion and compassion practices are covered in depth. The impact upon the brain alongside pain and change is studied. Students can research one topic in depth as a literature review. Modules can be taken stand-alone, towards a diploma or as a full MSc. Our mission: Is to improve the health and well-being of participants on our courses. This is achieved through greater self-awareness, broader emotional resilience, acknowledged changes in relationships and an increase in compassion for themselves and other. Our vision: Is that participants understand mindfulness and develop a personal practice that will benefit them, their family, friends, work colleagues and the wider world in which they live, work and contribute. The Values and the behaviours that support participants to be more present and achieve their own vision of a mindful life. Kindness and Compassion: Being as non-judgemental as we can and learning to live in the present moment. Curiosity: Encouraging participants to notice and be interested in their own experience in the here and now. Self-Awareness: Encouraging participants to be aware of their own drivers and habits, other people and the world around them. Simplicity: We keep the teaching and practice simple, leading to understanding and personal transformation. Transformation: Participants have a vision of how their life can be. The transformation comes in the commitment to maintaining a practice. Ideally daily. Open to all: We believe that mindfulness should be open to all who wish to practice. We don’t ask lots of questions before a course, we respect that participants have their own vision of how learning to practice mindfulness and compassion will support them. All participants can ring us and share their concerns in advance and we can advise on suitability. By doing it this way we find that participants remain in control and all our many differences are respected, rather than judgements made. Whatever arises in the mindfulness space is boundaried. We don’t turn people away, but we do signpost if a different therapeutic intervention is needed. We are a not for profit company. We choose not to be a charity based on the often-onerous administrative governance issues involved in maintaining a Board of Trustees. Our priority is impact through practice. We are lucky through our networks to have a fabulous Advisory Board of people from a range of professions and backgrounds that assist us and keep us on our toes! We also have committed volunteers. As a Community Interest Company -We have a dual approach to giving back. We do this by making available reduced and free places on all our eight session mindfulness and compassion courses. We make donations to UK charities that the Directors have a personal commitment and connection too. In the past we have donated to Leicester Samaritans; Breast Cancer awareness UK, Prostrate cancer and Action Homeless. Our philosophy is that we are already happy, but this might not be our experience at present. Our view is that mindfulness does not involve years and years of struggling with self-development. In fact, self-development can sometimes get in the way, because self-development is all about the self, all about the ego, all about me, which is often the root cause of our suffering and problems. The way to be happy is not achieved by acquiring anything outside of ourselves, or by developing this quality or that quality. Nor is it achieved by trying to be a special type of person, or being a “good” person, but by looking at the story of who we think we are. We are happy when we stop believing and identifying with the image we have of ourselves in our own heads. Happiness is for everybody, not just for the select few. We don’t need to live in a special place, we don’t need to put on special clothes or recite sacred words in sacred places. It is available to each and every one of us, if we are willing to look at ourselves with honesty and with courage. We share mindfulness practices with those who attend our courses and retreats. Participants leave with an appreciation of being in the moment and of building a practice that supports them to stay present and enjoy life more. We have taught mindfulness to 1000s of people. The participant's testimonials on the website tell of the impact our courses and retreats have on their own lives as well as the wider impact their practice has on their family, friend’s and colleagues lives.